It is a week after the Annual AEA AGM & Reunion Gala Dinner and I thought this may be a good time to dash a few words down while I am in a good mood and on a roll. The usual branch events have occurred this year and have been supported well by various members of the branch. It always amazes me how members find the time and commitment to attend the various functions, parades and ceremonies around and about. At pretty well all of these we see our President John and Pat Lee and our Chairman JJ and Sandra Ferry, as always leading from the front. It is great to see their friendly faces and we at the Chatham branch really appreciate their commitment to attending our functions. 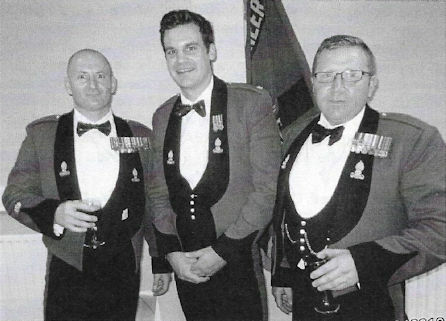 At the John Rock Dinner this year our guest was Colonel Chris Davies and his wife Jenny (another committed member who appears at and supports the various events around UK) An interesting after lunch speech and light-hearted humour made for another good occasion. As always, all members are invited to the John Rock Dinner. 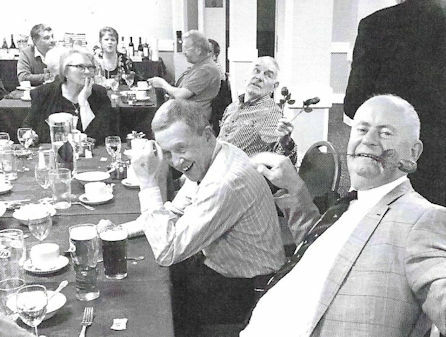 As from next year the Branch will be running a John Rock Lunch rather than a dinner, this will suit a number of members as the timings are more sympathetic to their life style. All members of the AEA are invited to attend and if interested please do contact myself or Tim van Der Kraan. Prior to the Dinner there was an opportunity where Colonel Chris was co-opted to lay a wreath at the headstone of Cpl Andrew George Mcllvenny known to many as 'Mac'. The headstone was located by chance by Tim vdK in Gillingham, a few years ago. Access was always limited but through a bit of persistence the Church has permitted us to enter and a small group met to pay our respects. Mac was attached to the Sqn in the 70s and in the 80's but lost his life during Op Corporate when the RFA Ship, Sir Galahad was bombed. 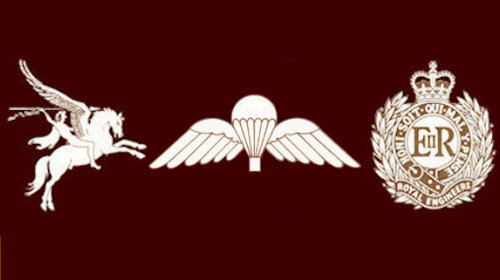 At the time he was serving with 4 Troop 9 Para Sqn. 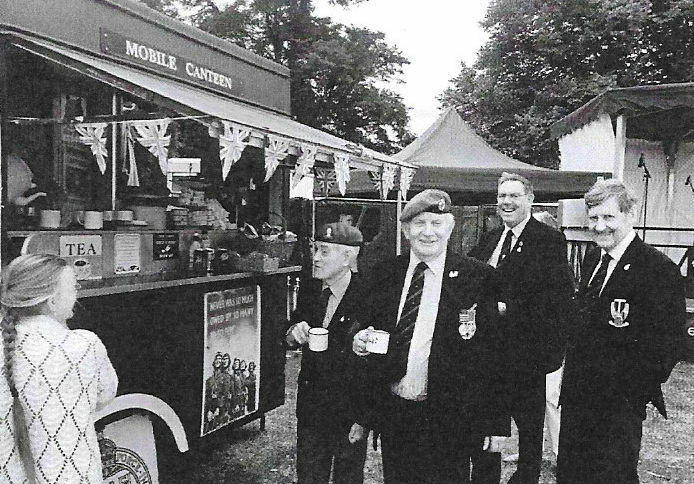 The summer, which was fantastic, saw us also at the Armed Forces Day (Medway) celebration and again a good turn out by the branch helped swell the numbers attending. Unfortunately, this year we have also lost a few of our members, Sandy Sanderson, Jim Rogers and John 0' Connor to name but three. 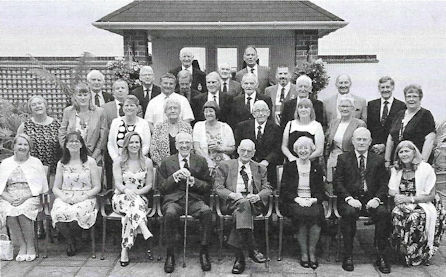 All good stalwart individuals who supported the AEA when circumstances allowed. September saw us at 36 Engr Regt Officers Mess, courtesy of Bob Matthews, where again a bumper turn out was on parade for the annual G & T and Gurkha Curry Sunday. Great to see John and Pat Lee attending and Tim vdK raffled a Limited-Edition Monopoly Game "Corps of Royal Engineers". As all are aware, The Branch were responsible for the arrange­ment and running of the Annual AEA AGM & Reunion Gala Dinner. Many photos have been published and there are many more in this Journal and all attendees agree that it was a very enjoyable event. Yes, it was hard work for the team involved but as always, the results made up for the hard work by them. I would just like to thank the Branch members, their wives and partners for their outstanding commitment and hard work to ensure the event was a success and to those who attended and joined in to make the weekend such fun. All very popular with the ladies as they appeared to take it in shifts to be dancing with them. 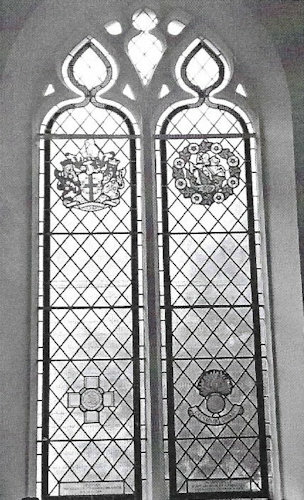 For Interest only, while I was in Gloucester with Linda on a break from the Grandchildren and while making my way to the Cathedral I visited a small Medieval Church only to spot this window. 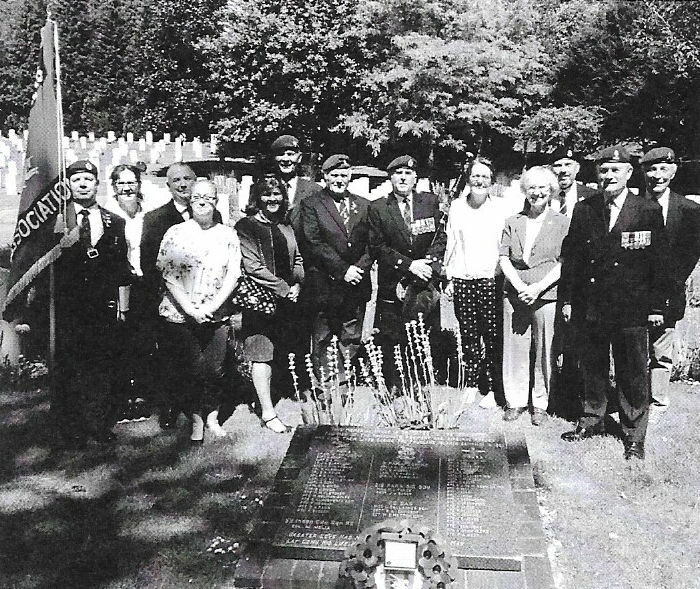 It was paid for by various sources and commemorates the late Captain Robert Laurence Nairac GC. 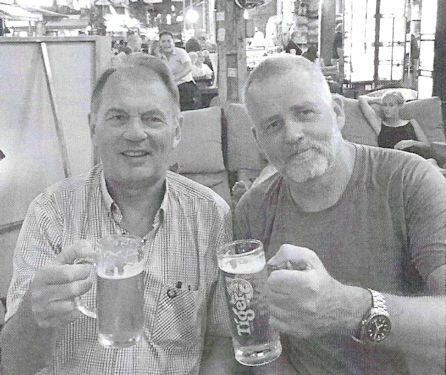 He was a British Army officer who was abducted from a pub in , south County Armagh, during an undercover operation and executed by the Provisional Irish Republican Army on his fourth tour of duty in Northern Ireland as a Military Intelligence Liaison Officer. 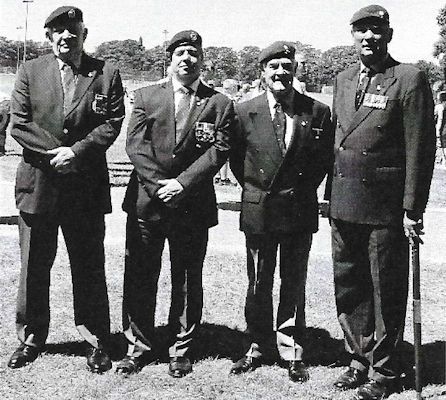 He was posthumously awarded the George Cross in 1979. I am sure some of us will remember the occasion and with it the early troubles in NI. As I close my comments on the last 6 months, all I can say is that it has be a slightly hectic one. The fantastic summer allowed a lot of us to get out and about much more, and as a branch we had some good fun. A big thank you also to Frank and Mary Ryan for their summer BBQ which a number of members made it too, again on another of those hot weekends. This all culminated in the Reunion Gala Dinner. It really was great to see so many of the old and bold and the young and frisky enjoying themselves on the evening. I shall miss the planning meetings around my house serving bacon and sausage banjos to the committee before we made any decision, but not the clearing up. Autumn is upon us and our thoughts are now towards the Christmas function and another branch gathering. On behalf of the branch can I wish all members a great Christmas and a healthy and Prosperous New Year and as a branch we look forward to catching up with you all next year. The year 2017 finished with a cracking Christmas Lunch and a real bumper turn out with members and families pushing the numbers to 90 attending. It really is a great opportunity for the Branch to get together with families and friends for this occasion. As always, a big thank you for the stalwart members, wives and partners working hard to organise these events and making them a success. I am sure that I am no different when after the celebrations of Christmas and New Year the post-Christmas blues settle onto us in January. Those Grey, dark and damp days (sounds like the start of a good exercise) knowing we have to get through February and March before it cheers up. But it does, and spring is soon upon us. 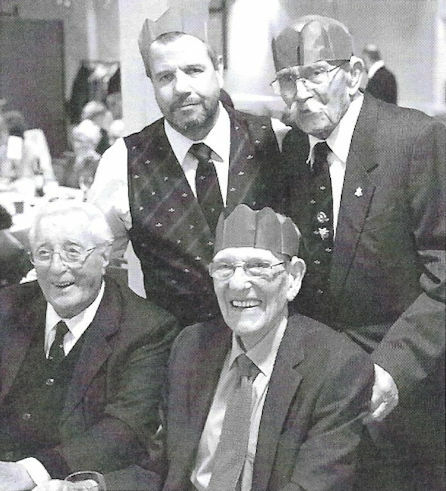 2018 got off to a very sombre start for the Branch with the passing of two of our Branch Members, Mr Bertie 'Bert' Fordham and Mr William 'Bill' Wheeler. We also had the very sad loss of Mrs Freda Perry (wife of Mr William 'Bill' Perry). As a branch we start the year with our first event which is the Valentines Buffet Lunch. Well supported and a good opportunity to catch up with each other and also to dispose of the odd Christmas gift into the Raffle. Mr Frank Ryan of course decided to get into character and deliver his "Rose" to Mary in true Spanish style..
"Senor Frank Ryan with a Rose for his loved one"
Shortly after this Lin and I went off on a few weeks break to get away from it all. Snow, Snow and more snow in UK, we laughed our way through Kuala Lumpur at 34 degrees and onto Cambodia at 36 degrees. Surprise, surprise, on our second night there casually strolling into a food hall we are accosted by one "Grant Scott' AKA Scotty. Scotty has been travelling for the last 18 months and as he says "looking for somewhere to settle down" A great experience to meet him out there and to catch up on what he has been up to. Scotty had served in the Sqn during my time and had also been the Provost Sergeant at 36 Engr Regt when I was OC 50 HQ Sqn. Needless to say, a couple of beers were required to chat things over. What a small world and a great experience and pleasure to meet a fellow Sqn member. I know a number of Sqn members follow Scotty on social media and while there Scotty showed me the photographs he had been taking on his travels, fascinating journal. 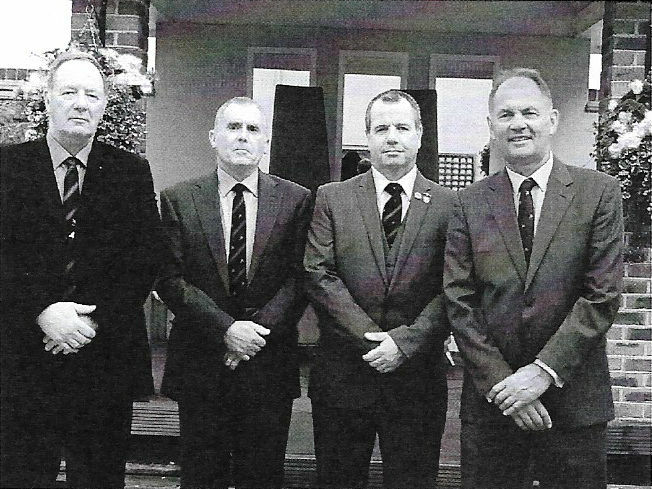 For the branch, this is a busy year, we always look forward to the summer with The John Rock Dinner on Saturday 9th June. This is followed by the Armed Forces Day 'Medway' celebrations on Saturday 30th of June. 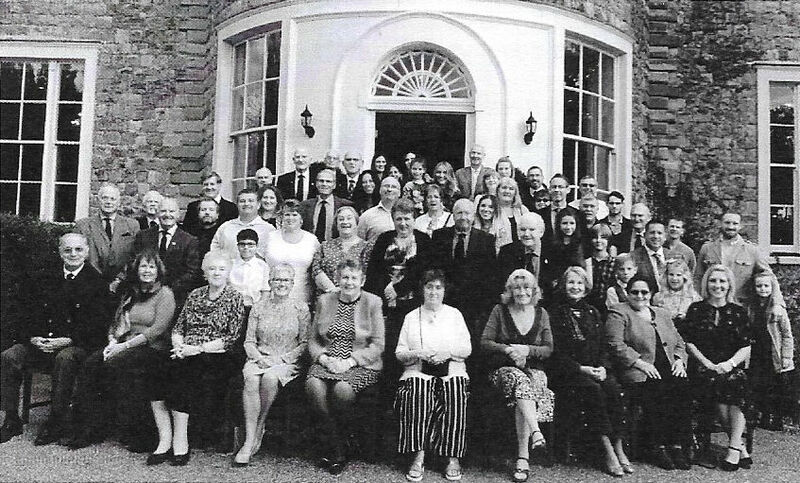 This year of course these events are a precursor to the Annual AGM and Reunion Gala Dinner over the weekend Friday 12th - Sunday 14th October. This is to be held at the King Charles Hotel. Needless to say as a branch we are all looking forward to hosting the Association on this very special occasion. 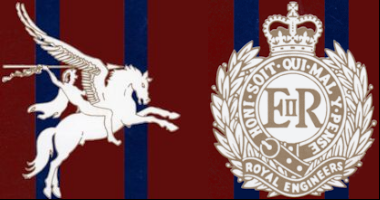 Other Annual Branch events are of course also planned such as the Nepalese Curry Buffet Lunch (Gurkha Bart) in September which is held at the Officers Mess, 36 Engr Regt. This has become a very popular event and we are now maxing out as they say with attendees, although Bob Matthews did manage to squeeze in a few more than planned last year, that's what being a good QM is all about Bob! And rounding off the year with our traditional Christmas Lunch in December. The summer season as expected was busy but fun. This summer involved a number of events with an element of support from the branch at them all. 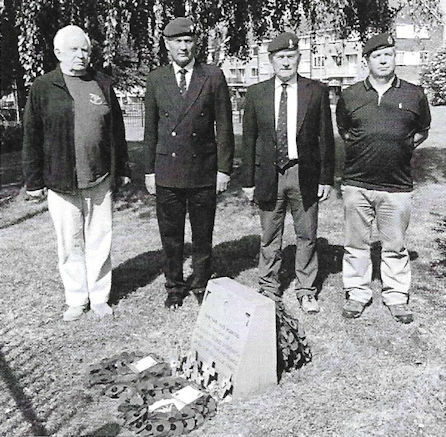 Of course the Falklands 35th Anniversary had a number of engagements and I and Tim VDK with wives attended the small ceremony conducted by Col Chris Davies at the Aldershot cemetery on the 18th June. 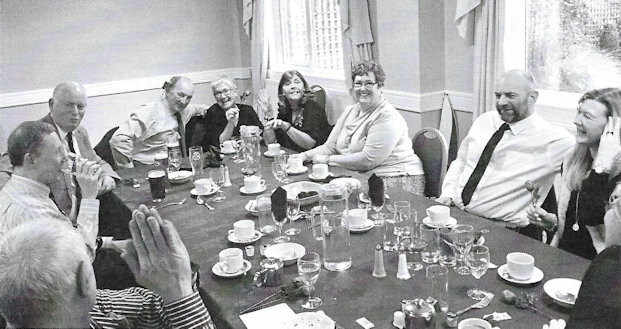 Other members with wives joined us and afterwards retired for a pub lunch. 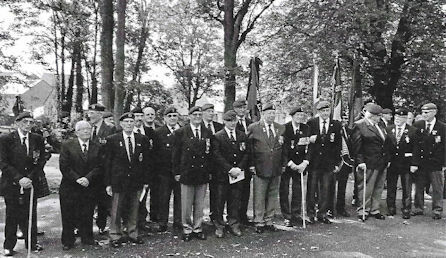 The main ceremony was on the 17th of June and was described as a "ticker tape parade" with Aldershot town coming out to give fantastic support to the event. June continued with the Armed Forces day (Medway) celebration, strangely enough I found I had been volunteered to march on the contingent and then being requested to read out the Kohima Prayer. 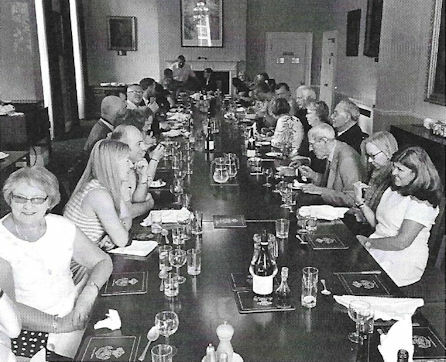 The summer celebrations finished off with the John Rock dinner and we were delighted again to host both the President, Chairman and their wives that evening, which as always is an enjoyable event. This year's presentation was twofold, our Chairman John Ferry gave a resume of two troop's deployment on OP Corporate and Mount Longdon. While Tam Drain, who was a member of 4 Troop during the campaign (4 Troop being the attached troop from 20 Sqn) gave a piercing and honest presentation of the conflict through the eyes of a soldier who, 35 years ago, with little warning were stood up to be attached to 9 Parachute Squadron. Having then deployed, found themselves on that fateful day to be on the "RFA Sir Galahad" which we can all remember from the horrific scenes after the bombing, explosion and fires. Summer was bought to a close by an invitation to Frank and Mary Ryan's house for a BBQ, Mary managing to cope with Frank's generosity to the Branch. Another excellent afternoon. Autumn brought the normal support to the other events around UK and Tim VdK supported by Edwina, attended on behalf of the Branch and the association at a number these. Finally in October the annual Gurkha Curry organised by Bob and Helen Matthews at 36 Engr Regt's Officer's mess, was again a sell-out, over 60 people attended. I was absent as the date had been changed after I had booked my Holidays. However our President attended, I am told he has branched out into selling AEA Car Badges and hoped to make a killing there. The year is almost complete with our final event the Christmas Lunch, which again is shaping up to be another block buster. Hopefully, allowing a day out of the Kitchen for our partners to get together with friends and families to be waited on at the King Charles Hotel. As I write this I am recovering from a fantastic Reunion Gala Dinner organised and run by 299 Airborne Squadron in Hull. Well done to the OC and his team and in particular to Craig Gadd for organising and running a successful event in the 2017 European City of Culture. 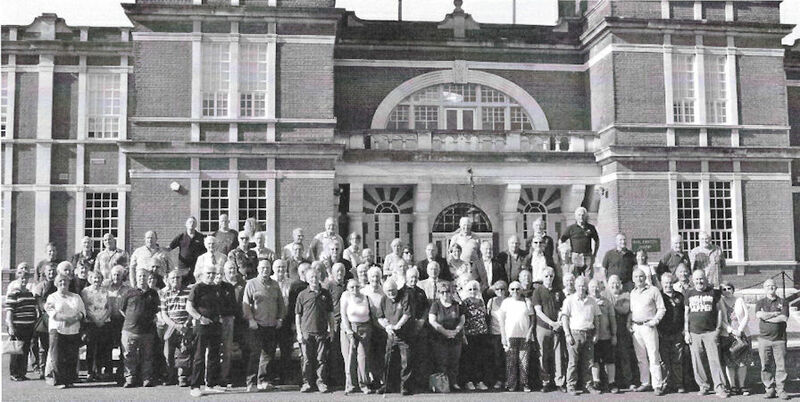 This leads me to remind you all that it is Chatham Branch's turn to organise and run the Annual Reunion, AGM and Gala dinner in 2018. The dates for your diary are the 9th 10th and 11th of October. It will follow the normal weekend and run of events, but we hope that as it is the home of the Corps, it will allow individuals to visit the Corps Museum, Brompton Barracks to see how it has changed and of course perhaps a run ashore for those of you who may wish to visit old haunts. I must remind you that there has been a huge change over the years to both the barracks and the Medway towns. The various booking forms will be in the June journal. For your information the event is being run at the King Charles Hotel, Gillingham over the weekend. The King Charles Hotel will deal with the full booking procedure and there will be no need to send forms or payments to any individuals of the Branch. Book early as rooms are limited but there are also a number of other Hotels available in the area. The contact e-mail address for the King Charles is debbie@kinocharleshotel.co.uk Please note that bookings will only be taken through the King Charles system. The Branch wish you all a very Merry Christmas and Best wishes for 2018 and for those who can make it, we look forward to seeing you at the next year's AGM and Reunion Gala Dinner.